After weeks of laboring through one inscrutable page per sitting, I finally finished my French Patti Smith book and was ready to move on to something kinder and gentler on my French reading disposition. While in a convenience store at Charles de Gaulle on the way back from France, I realized that the airport would be the best spot to find exactly what I was looking for: super easy and formulaic chick lit whose thread I could not possibly lose even in a foreign language. I picked the first brightly covered paperback I saw and only later noticed that it is an American novel translated into French. But no matter, it amply fits the bill. I’m only halfway through and I have no doubt as to exactly how it will end, so I’ll never be confused. It uses the same words over and over again, many of them new to me yet pretty basic – perfect for vocabulary building. And it’s so light and fluffy I could beat it into an omelette. It’s completely inane but in this case that’s a good thing, because recognizing all the silly tropes, one-dimensional characters and clichéd plot devices helps to overcome any other difficulties with comprehension. The only problem is that despite my lack of fluency, there is no way to miss the glaring racial and class-based stereotypes that are somehow even more pronounced in translation. 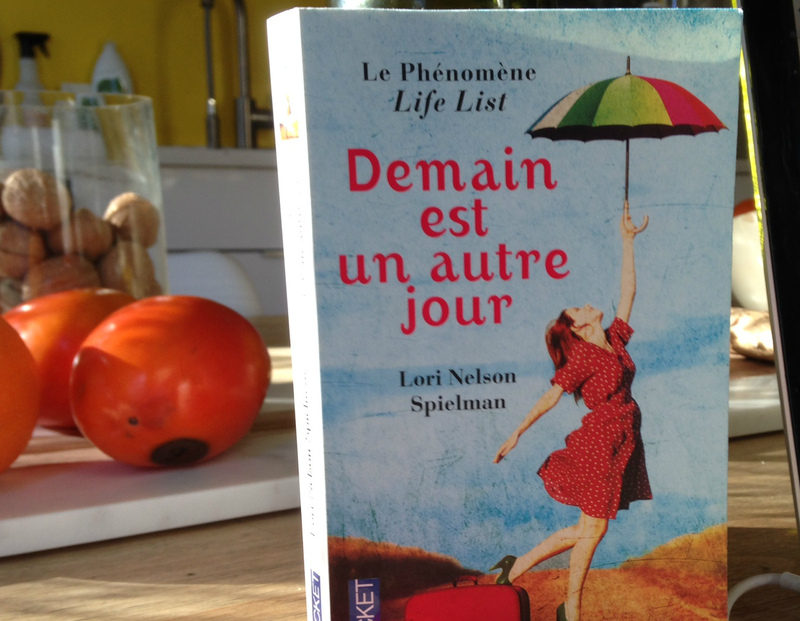 Let’s just say this is not a book I would take a second glance at in English, but in French it serves a good purpose. Side benefit: when I read it on the subway people think I’m French (French with really lowbrow taste, but French nevertheless).